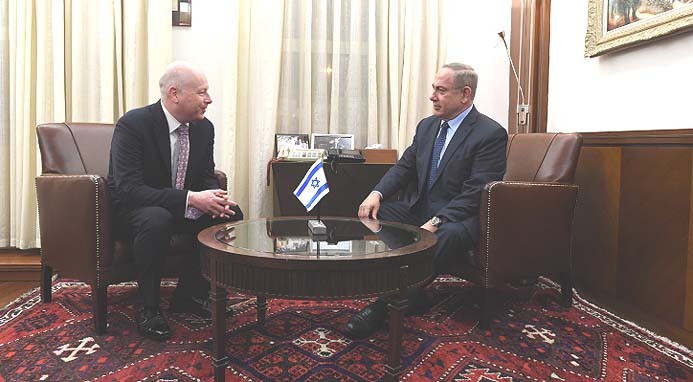 Prime Minister Benjamin Netanyahu meets with Jason Greenblatt, March 13, 2017. After four days of talks between the US and Israel on the future of the Judea and Samaria settlement enterprise, the two sides issued a joint statement saying the issues remain “exceptionally complicated” and that the talks have been serious and beneficial. In other words, if they had something new to announce they would have announced it. President Trump’s negotiator Jason Greenblatt and Prime Minister Benjamin Netanyahu’s chief of staff Yoav Horowitz led the talks, which came only a few days following Greenblatt’s visit to Israel and the PA. One thing the two sides have said they agreed on was that, for now, the Netanyahu government will be minding the Trump Administration’s concerns on settlements construction and expansion. Which probably means an unofficial settlement freeze for the foreseeable future – even though everybody connected to the talks is denying it. This entry was posted on March 25, 2017 at 3:17 PM and is filed under Uncategorized. You can subscribe via RSS 2.0 feed to this post's comments.